Do you have a business idea in the gaming area or an innovative game idea? Are you considering developing your idea into a business, and are unsure of how to do it, then STINGs new initiative might be for you. It’s a timely move with a lot of studios struggling with viable sustainable business models to match their creative outputs. 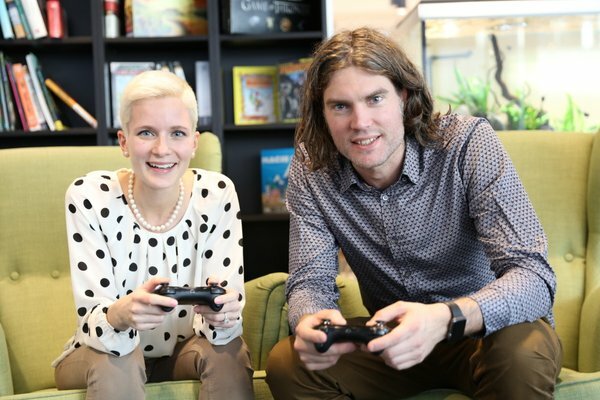 STING Test Drive Game is overseen by Jana Karlikova – project manager at Stugan, and Jonas Lindqvist, former business coach and serial entrepreneur. Jana took a couple of minutes to expand on the origin and aspirations of the initiative. Why the decision to open up Test Drive to developers now? STING is a business incubator in Stockholm. It has been around since 2002, running an incubator and accelerator and providing business development support to innovative startups. A few games companies went through the programs as well and then STING realised that a games company is a little bit special and would benefit greatly from getting a help from people with the experience from the games industry. That’s when the idea for starting a games oriented part of the incubator was born. As a first step we did a prestudy (October 2015 – March 2016), meeting important actors from the industry, telling them about our intention and getting a very positive feedback from them. As of now there is no games incubator in Stockholm. As a result of the prestudy we understood that the conditions for starting a games incubator are excellent in Stockholm right now. There are a few success cases, a good education, and in general more people are interested in games. STING has run Test Drive for different industries (like financial technology, sustainability and health) and now we are preparing one for the games industry. This is the first phase of the future games incubator. What lessons from Stugan do you see bringing into this? One of the lessons from Stugan that basically forms the core of Test Drive is that many game developers are trying to avoid doing the paper work and don’t spend so much time on coming up with the business model. In general indies are very good at making games but don’t really know what to do once the game is finished. The focus of Stugan and Test Drive is rather different though. Test Drive is going to focus very much on the business side, which is a very important and needed aspect of the game development while at Stugan we basically skip that part and focus more on the creativity and joy of game development. The aim of Test Drive is for the teams to validate their idea and see whether their idea is worth pursuing further and setting up a company or not. Place: First meeting place is at Future Games in Medborgarplatsen, Åsögatan 117, Stockholm. The program’s workshops will take in various locations. It will be circulated at the offices of the program’s partners for example, DICE and Paradox.